Flat roofs are slowly but surely making their way onto residential properties. Once almost exclusive to commercial buildings, more and more houses are sporting flat roofs for their unique look and functionality. However, not many homeowners know what to do when it comes to maintaining a flat roof. Here’s where you can start for proper roof maintenance. Flat roofs require more regular cleaning as the surface area makes it easier for leaves and other debris to pile up. You’ll need to go up there at least once a month to clear out any debris and inspect for any damage or wear and tear. Since it’s not inclined, however, it’s a lot safer to do an inspection on top. While you’re up there, you should also look for any cracks, holes, loose shingles or asphalt, and damage on the flashings and other elements. Give your roof a coat of reflective paint to protect it against the sun’s damaging ultraviolet (UV) rays. The paint also acts as a protective seal that lubricates the roof and reseals the surface, adding another layer of protection against water and moisture seepage. Due to normal wear and tear, cracks and other surface damage may appear after a few years. This can be addressed with simple roof repair work, such as applying a fresh coat of asphalt roof coating or patching up larger damage. If the damage covers a lot of area or in several patches, it’s best to call in the professionals. Other than keeping it debris-free, you also need to make sure the roof surface itself is free from damages and undue stress. Heavy equipment, snow or water buildup, and other heavy objects can burden the deck and cause the roof to sag. If you’re putting equipment on the roof like a satellite dish, be sure to install them securely and preferably not on the roof surface itself. You’ll want the roof surface to be clear of any openings that may cause leakages. 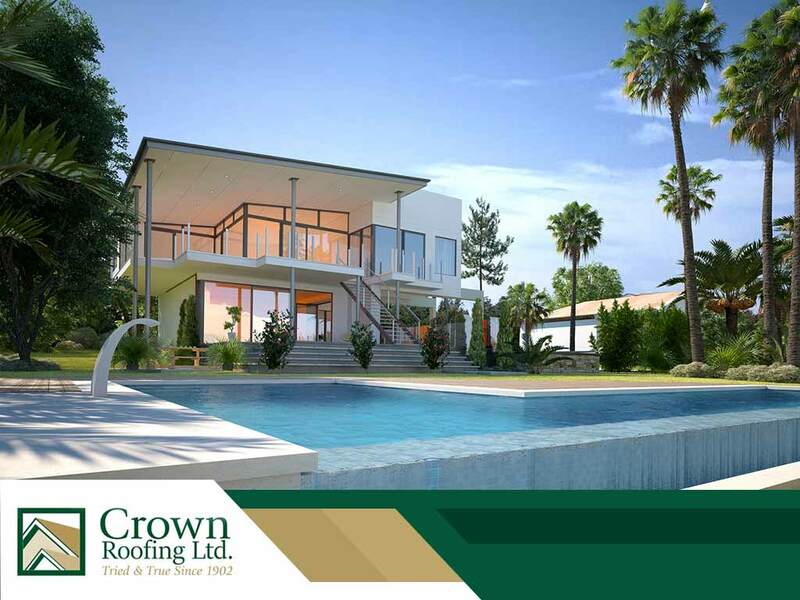 When it comes to residential roofing, maintenance is the key in prolonging the life of your roof, no matter the style. Turn to Crow Roofing for provide reliable residential roofing services, from installation to maintenance and everything in between. Give us a call at (604) 210-6655, or fill out our contact form to get started. We serve homeowners in Vancouver and Surrey.